Closing date: Wednesday 1 September 2010. Criteria: All entries must have been first transmitted in the UK between 1 September 2009 and 31 August 2010. The Royal Television Society (RTS) has launched the Craft & Design Awards 2009/2010. The Awards recognise the huge variety of skills and processes involved in programme production, from costume design and digital effects to editing and lighting. Nigel Pickard, Group Director, Family Entertainment and Drama at RDF Media Group, is chairing this year’s awards. The judging panels will be drawn from leading broadcasters including BBC, C4, Five, ITV, Sky and S4C. The awards are designed to recognise the wealth of talent within the industry and the various categories highlight achievements from across the board. The RTS is Britain’s leading forum for television and related media. Makeup Design – recognises achievement in all areas of make up including hair styling and wigs in categories of drama and entertainment & non-drama productions. Costume Design – recognises achievement in drama and entertainment & non–drama productions. Graphic Design – recognises achievement in trails & packaging, programme content sequences and titles. Production Design – recognises achievement in entertainment & non-drama productions and drama. Photography – recognises achievement in drama and documentary/factual & non-drama productions. Lighting and Multicamera – recognises achievement in lighting for multicamera and multicamera work. Sound – recognises achievement in entertainment & non-drama productions and drama. 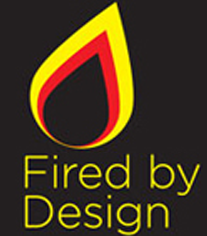 Judges’ Award – recognises outstanding achievement of creative craft and design within the criteria year. Lifetime Achievement Award – recognises outstanding achievement of creative craft or design. The fee per entry is £115.15 (Inc. VAT). The Awards Dinner will be held on Wednesday 24 November 2010 at The Savoy, London. Visit www.rts.org.uk for more information or call +44 (0) 20 7822 2810.